We in the horticulture business believe in "the right tree for the right place". This tree occurs naturally along stream and river beds where it can get 30-80 ft. tall and 20-50 ft wide. It needs rich, deep, moist, well drained soil. 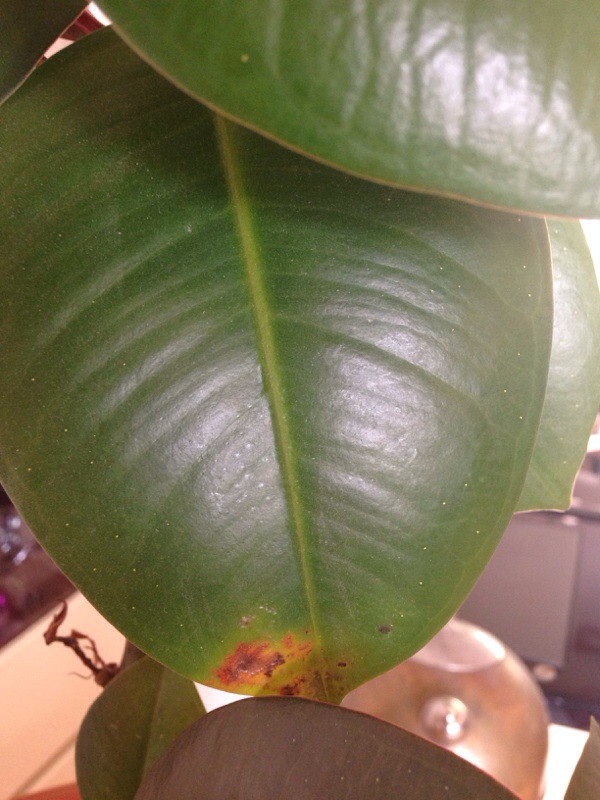 When a plant is not in its optimum environment, it tends to not be able to fend off diseases and pests. 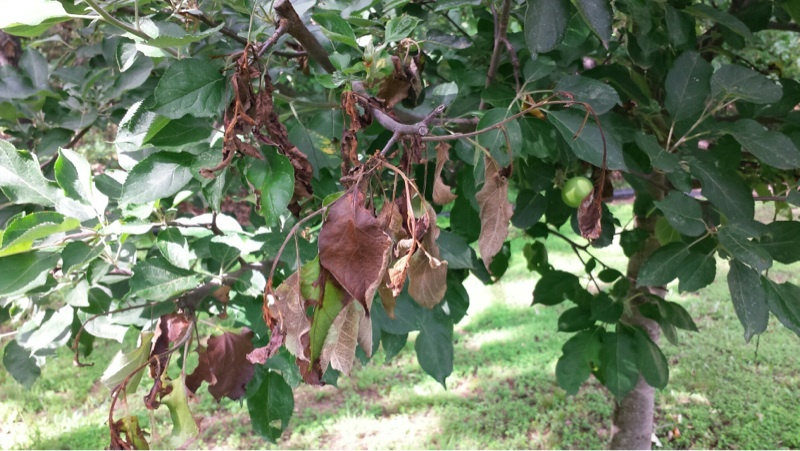 What you probably have is anthracnose. This is very common on sycamores. You will want to carefully remove and dispose of any litter from the tree. 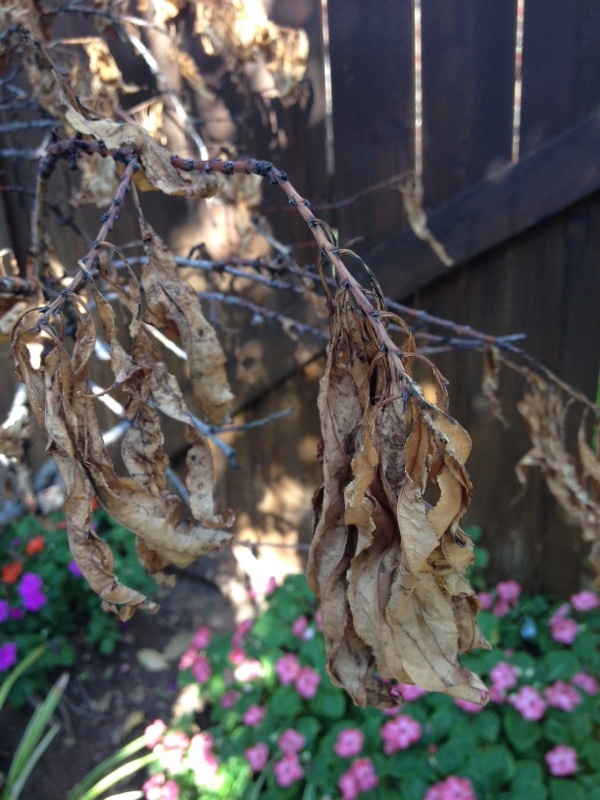 You might want to visit your local independent garden center to see what they would suggest as a preventative fungicide to use while the tree is in its dormant state. Sycamores can also have large root systems that can damage sidewalks and pipes. We've already told you as much as we can without getting more information from you. (Please see our original answer pasted below in the additional comments section.) If you didn't receive our answer, please check your spam folder; we want to be sure you're getting our answers. Now that we know the leaves are yellowing and dropping off in addition to the fruit aborting, it's more important than ever to get answers to our questions below. Without them, we can't help you diagnose. Since things are getting worse, you might consider consulting an arborist who can make an in-person visit. 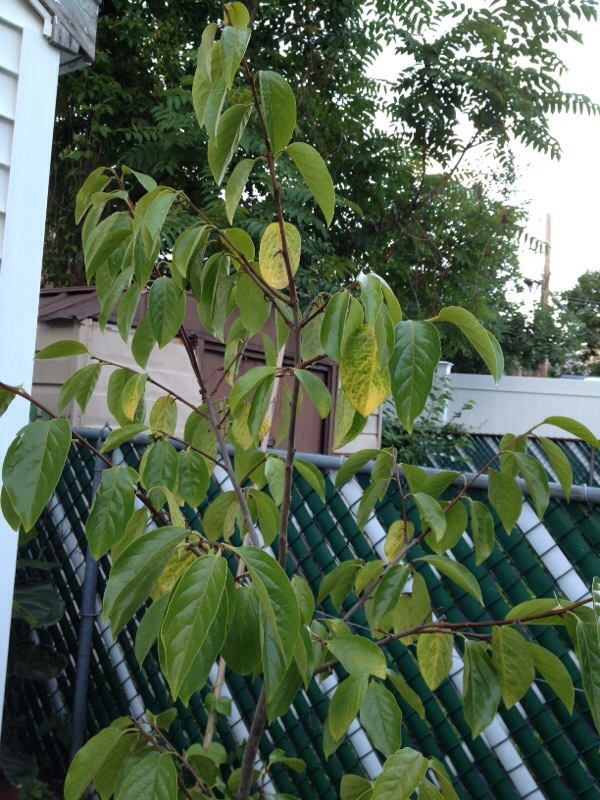 One more thing we just thought to ask: is this tree growing in a container? This is not a tree that is well suited to container growing. Your tree looks like an ornamental Bradford (or Callery) pear. 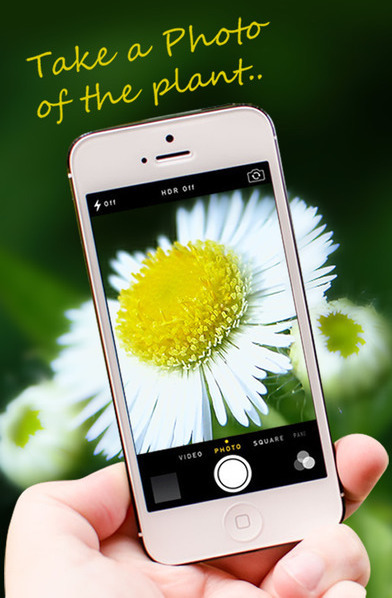 If we could see it in fully in bloom, and a close up of the leaf and flower, we could be certain. 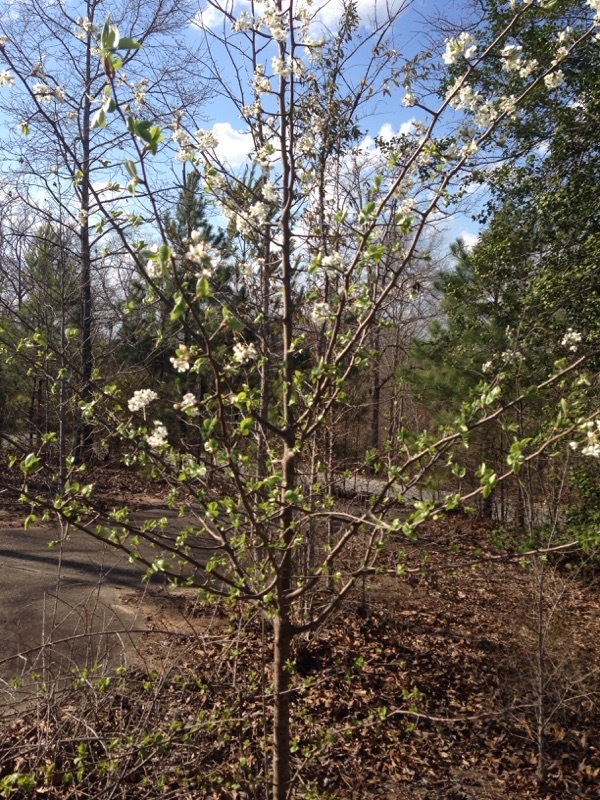 Originating from south-eastern China, Korea, Japan and Taiwan, the Bradford Pear has features very similar to the other ornamental pears. 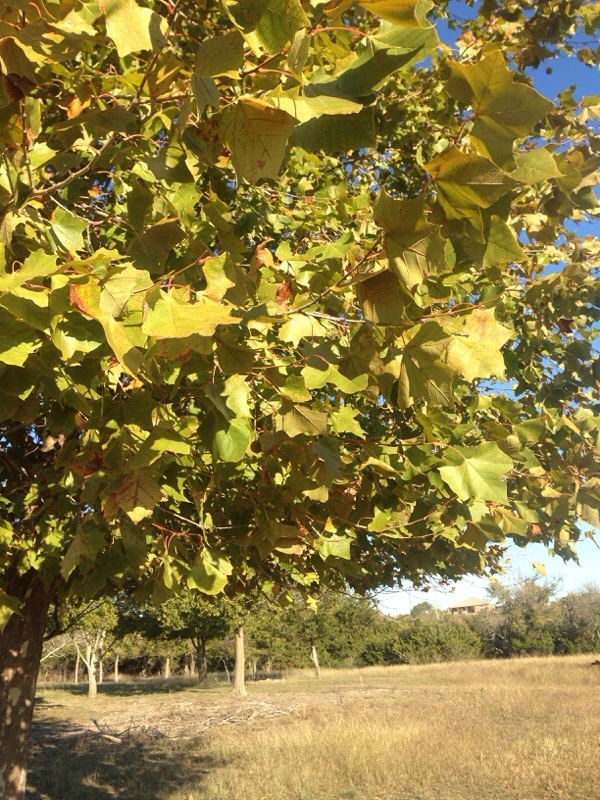 An upright shape, the tree has dark green glossy leaves with a color change in autumn. White blossoms appear in spring. As the tree matures the density, of the flowers increase, become more and more spectacular. Unfortunately, these are weak trees and will split easily in high winds or with heavy snow or ice. They are also becoming more and more prone to disease, and so are no longer as strongly recommended for use in landscape gardening. 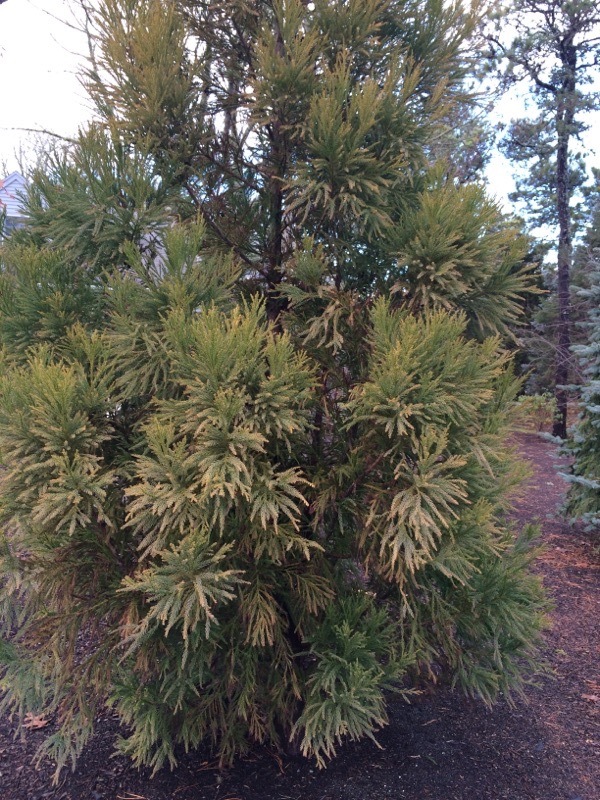 This is a Cryptomeria, aka a Japanese Cedar. The foliage is especially striking in the Northeast in November and December. In fact, many people love this plant for using the greens in arrangements, containers, wreaths etc during the holidays. Grow this plant in full or part sun, but allow room because even the so-called "dwarf" versions get large. Note too that the foliage that is so light green at this time of year will get bronze in color in January or February, leading many people to think it's dead. (We say "bronze" but it's really a rusty brown and dead looking!) The plant greens up again when milder temps return in March or April. You can see a great HUGE example of this plant at Blithwold in Rhode Island, should you be in Newport in the future. 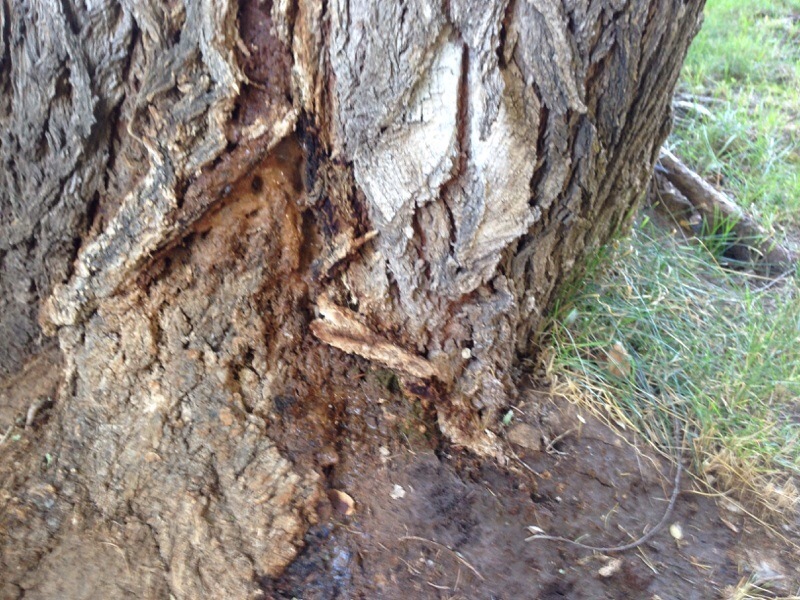 This type of damage can be caused by many things including weather conditions such as a lightning strike, borers or bark beetles, or even animals. If the damage is too extensive, it can jeopardize the trees structure, weaken its stability and make it a future liability. Removing the dead bark may give you some info on what caused the damage ( for example-insect galleries-patterns where beetles feed under the bark) but it really requires a bit of expertise. Here's some info that may help: http://essmextension.tamu.edu/treecarekit/index.php/after-the-storm/tree-damage-and-hazard-assessment/tree-wounds/. This damage looks pretty extensive, Depending on where the tree is located and how valuable it is, you may want to consult a certified arborist on what to do. Fremontodendron (Fremont's tree) was named for General Fremont, explorer of the West and twice presidential candidate. The General was much involved in the early history of California, and in his travels discovered Fremontia near Sacramento in 1846. This beautiful shrub is found from the Cascades to Baja and in Arizona. 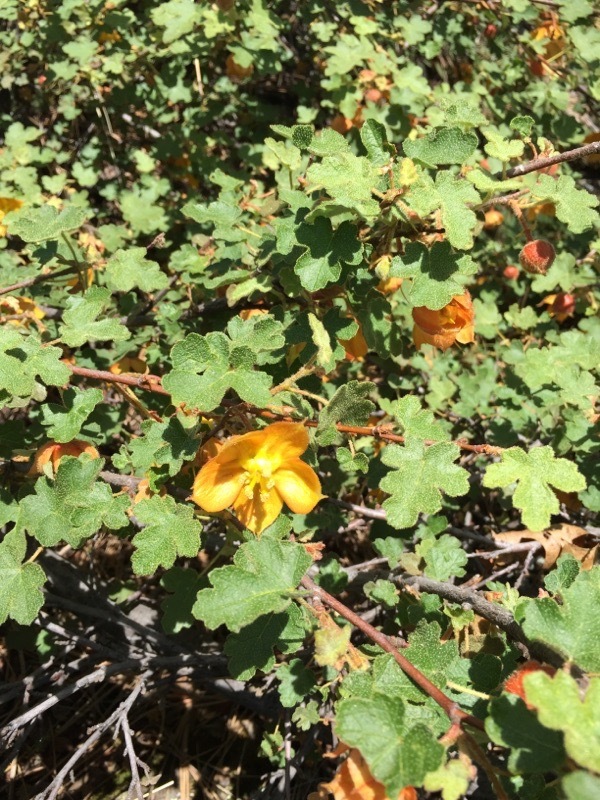 It is most at home on the dry, rocky hillsides of the eastern flank of the Sierra, where it grows unnoticed in the chaparral until it bursts into bloom, lining twigs and branches with brilliant 3 inch saucer-shaped waxy yellow "flowers," which are really sepals with dusky apricot backsides. The leaves are dull, hairy, triangularly lobed, sometimes irritating to the skin, and tough enough for the early settlers to use to pad their shoes. Start out at the branch tips and move inward towards the trunk. 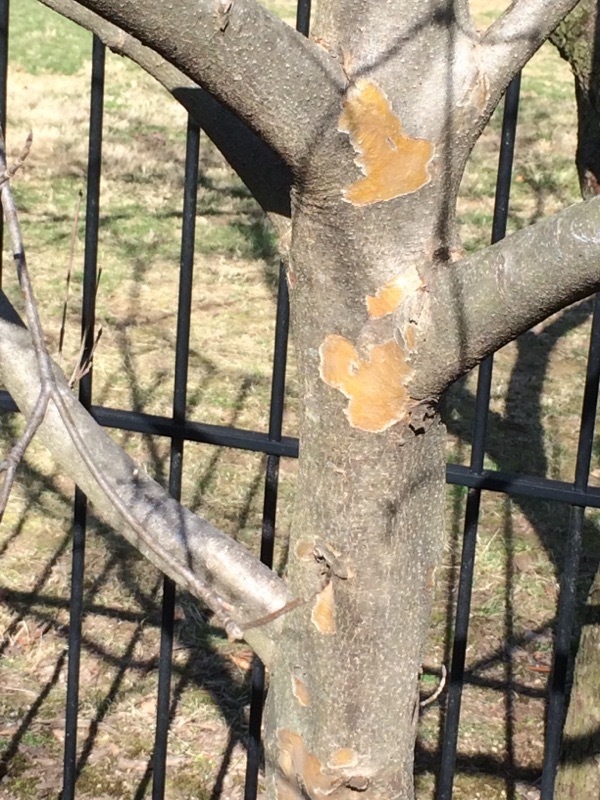 Scratch the bark gently with a fingernail to see if there is any life under the surface. Your looking for a thin, green, juicy layer, if you only see brown dryness, work you way towards the trunk searching for any sign of life. If you find some remove the dead portions, if you don't find any it's probably too late and you may want to pull it out.